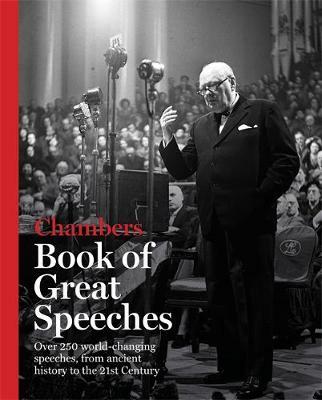 The Chambers Book of Great Speeches is the most comprehensive guide available to the inspired and inspiring speeches that have shaped the world we live in. There are over 250 speakers covered, from Bella Abzug to Emile Zola. Each speaker is introduced with a brief biography setting them in context. Each speech also has an introduction explaining its setting, and is accompanied by marginal notes which fill in any background information. The speeches themselves are international in scope and stretch throughout world history, from ancient times through to twenty-first century orators such as Barack Obama, Steve Jobs and Lord Coe.